KDE desktop and KDE applications are powerful, flexible and provide many features. These may come at a performance cost, especially when not written with performance in mind, causing slow startup, increased memory usage or slow response. This talk will be aimed practically at presenting most common performance mistakes and presenting techniques to avoid or mitigate effects of poor performance, including presenting practical examples of cases where they improved performance. This talk does not intend to focus on low-level techniques like writing effective code, measuring performance, discussions about performance problems caused by non-KDE parts of the system or general theoretical discussions about performance. 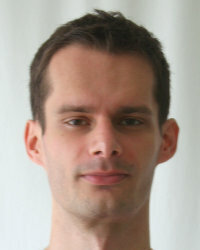 Lubos Lunak is a KDE developer employed by SUSE/Novell. He is a member of the Technical Working Group, maintains several components of KDE such as the window manager KWin and session manager KSMServer, some X11-related library classes and works on performance improvements in KDE.